Photo: Hugh Dollar of Dollar Farm Products stands with representatives of BPS in front of the new foam tank. Left to right: Joboa Dixon, Doyle Welch, Hugh Dollar, Frank Green, Leroy Akins. Courtesy of Bainbridge Public Safety. 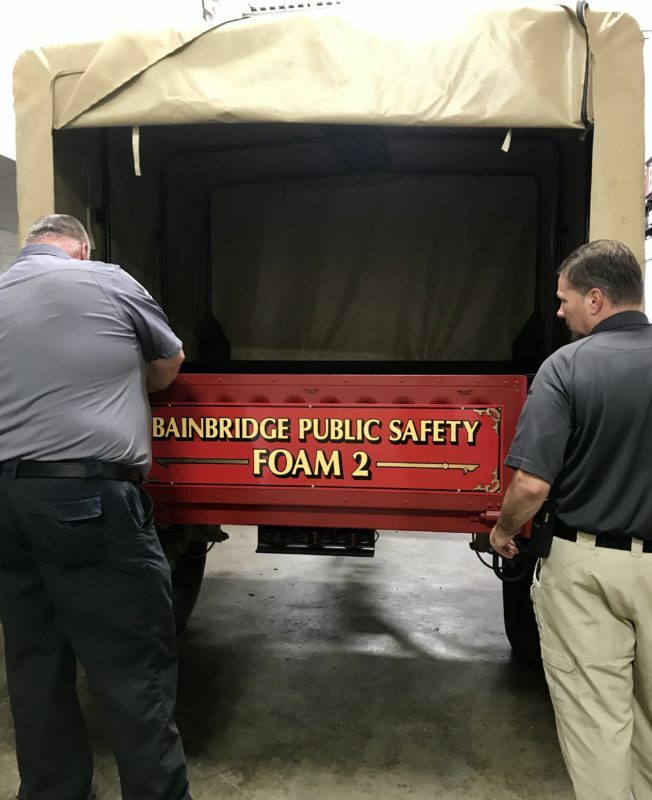 In a Wednesday press release Bainbridge Public Safety announced a team effort with Dollar Farm Products that will allow the department to utilize multiple foam trailers for fire fighting. 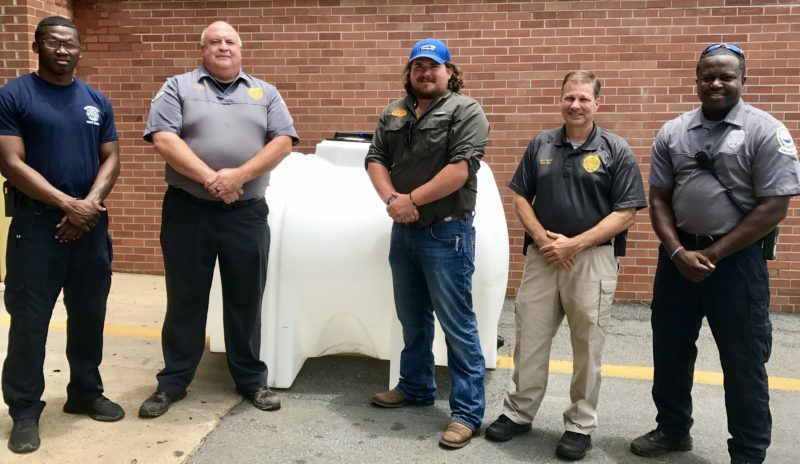 On Wednesday afternoon, Hugh Dollar of Dollar Farm Products delivered a new 525 gallon tank and accessories to Bainbridge Public Safety. 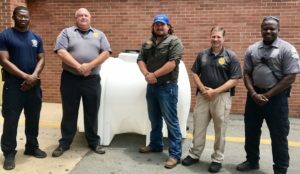 Dollar Farm Products afforded Public Safety the opportunity to purchase the tank and accessories at cost. 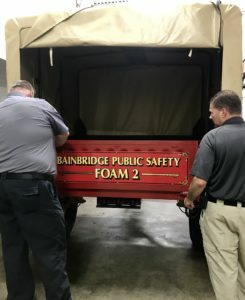 The new tank will be filled with “FireAde 2000” which is used to fight Class-A wood fires and gasoline fires, and will be placed on the “Foam 2 Trailer” for use in an emergency situation. The trailer was purchased as military surplus and Bainbridge Public Safety personnel sanded and painted it, then applied the BPS decals. All told, the entire fire fighting rig was put together for a significant savings.